There are lots of ways to get around when you live in the city. Walking is the most obvious (and what we do ALOT!). But when you don’t feel like walking or you walked to the mall, and all around the mall and now you’re tired and your feet hurt and you don’t want to carry the two bags of groceries slung over your shoulder for that 30 minute walk home, there are other options. 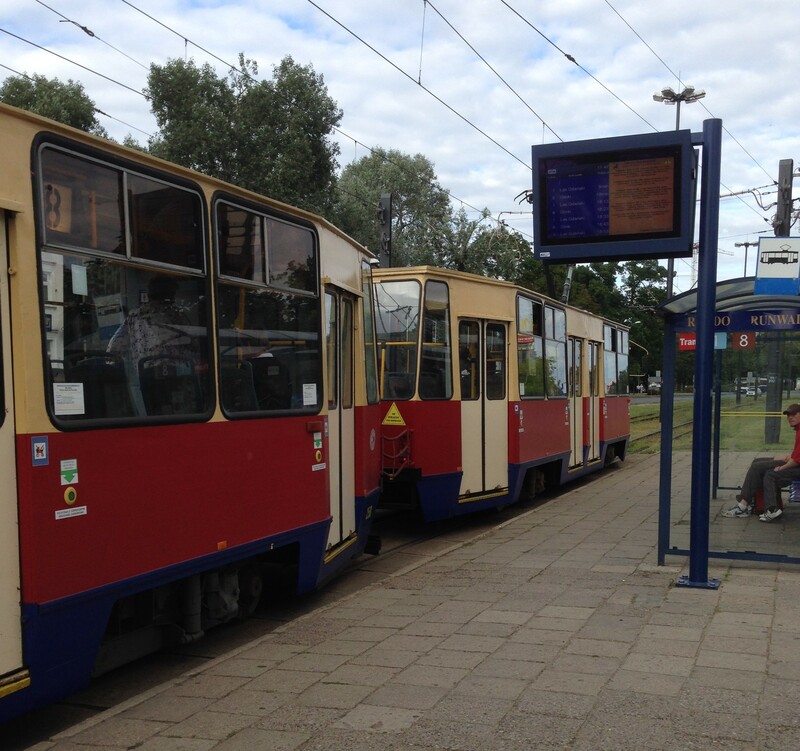 Like taking a tram ( I like to call them trolleys, because they remind me of the trolleys in the movie Meet Me in St. Louis) Clang, clang, clang went the trolley…. Ding, ding, ding went the bell… (sorry, got carried away there for a minute).